"Panda" is a multiple Specialty and Sweepstakes winner from a litter of 6 champions. 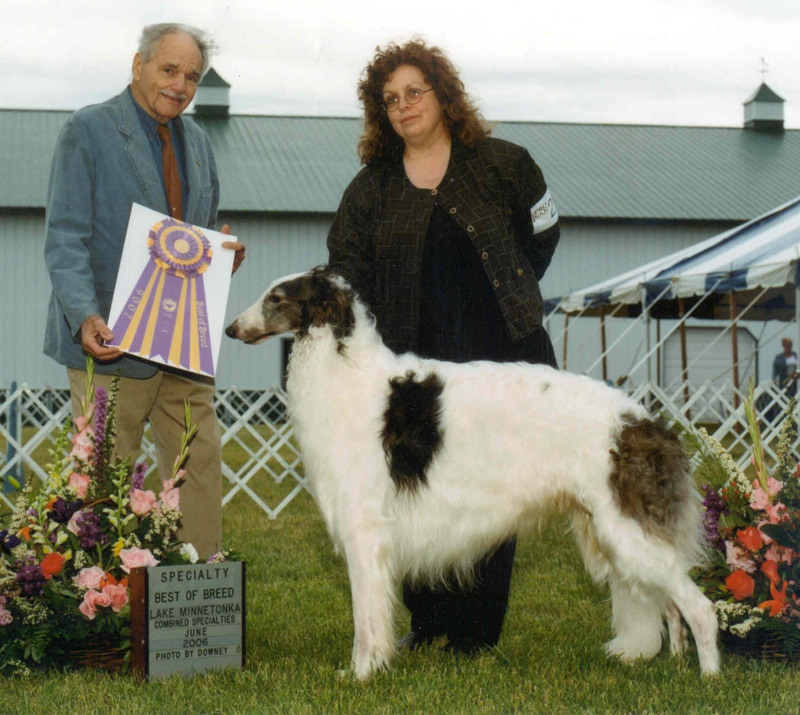 He is pictured winning Specialty Best in Show under breeder judge Charles Tyson of Stillwater fame, owner/breeder handled. "Panda" is sired by Am. Can. CH Lythe Moulin Rouge, "Roux," out of Can. CH Lythe Mississippi Mermaid.